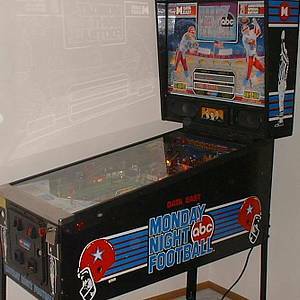 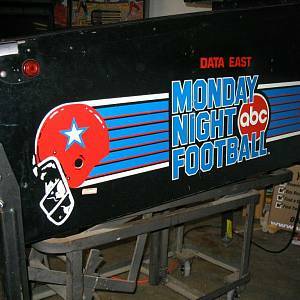 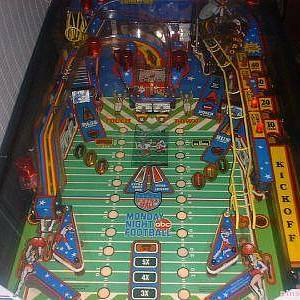 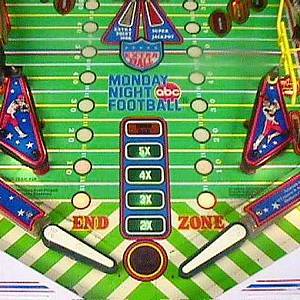 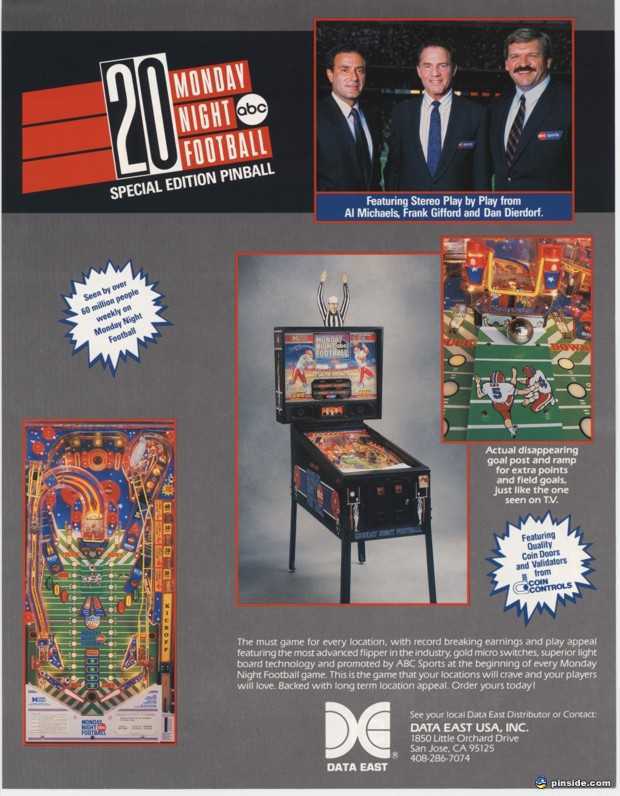 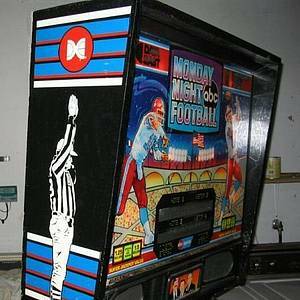 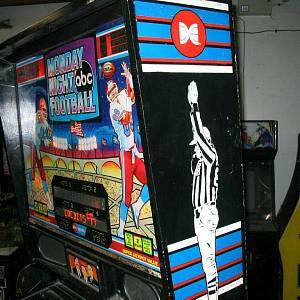 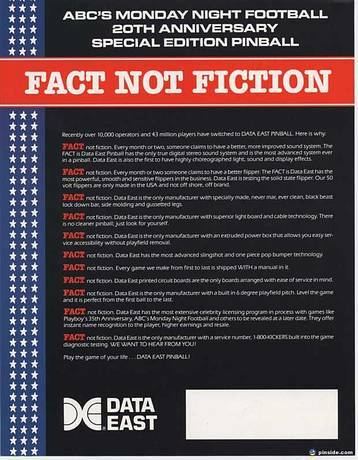 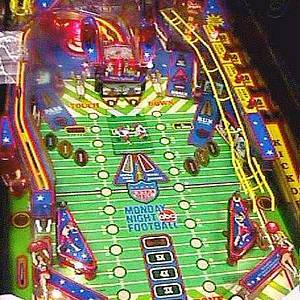 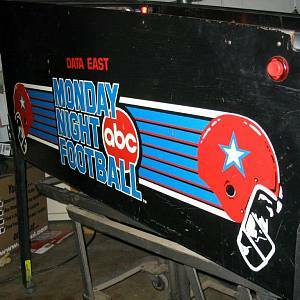 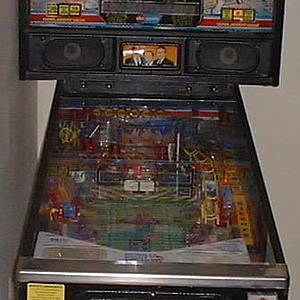 Monday Night Football is a pinball machine from September 1989, manufactured by Data East USA, Inc. 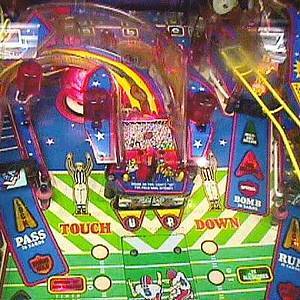 This game has received 36 approved Pinsider ratings and currently has a rating of 7.083 out of 10. This game ranks #241 in the Pinside Pinball Top 100. 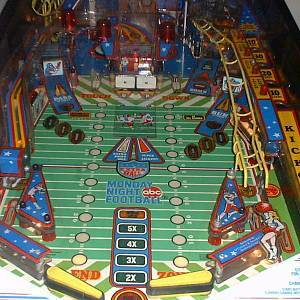 There are 19 rating comments for this game. 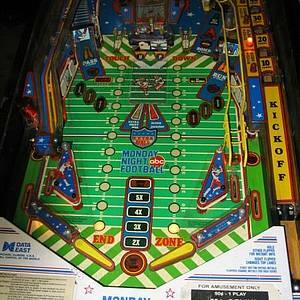 53 Pinsiders have this game on their wishlist. 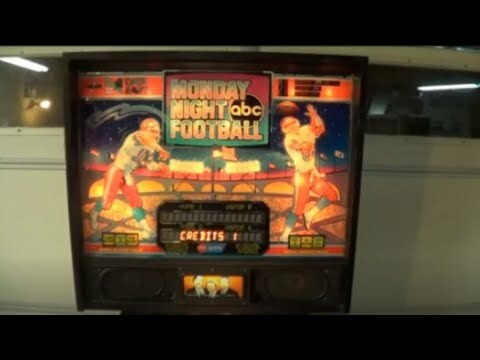 Monday Night Football Club - "It's Good!"